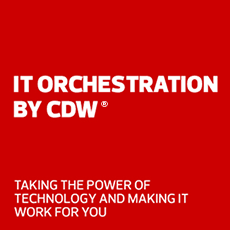 Check Point and CDW provide comprehensive protection against known and unknown threats. Established in 1993, Check Point first pioneered the IT security industry with FireWall-1 and its patented Stateful inspection technology, which is still the foundation for most network security technology today. Protect email attachments and file downloads on Office365, Gmail, Box, OneDrive and more with CloudGuard breach prevention. Deliver advanced threat prevention security to VMware NSX SDDC environments. Bring automated threat prevention to your software-defined data center for full visibility and management. Designed for the dynamic requirements of Cisco ACI deployments, CloudGuard delivers advanced threat prevention and security protection to Cisco ACI software-defined data centers. See how CloudGuard stops zero-day attacks before they even reach SaaS users. Provide comprehensive protection with evasion-resistant malware detection. SandBlast stops botnets, targeted attacks, advanced persistent threats and zero-day attacks. Ensure safe delivery of content to users without the risk of dangerous attacks. SandBlast protects your network, endpoints, web browser and cloud applications from today’s most sophisticated threats by employing threat emulation and extraction capabilities. Unknown malware infiltrates systems and networks and can remain undetected by traditional antivirus and intrusion prevention systems. SandBlast Network identifies and blocks URL-based and attachment-based threats in their infancy while providing rapid reconstruction of files and delivery of safe content. Elevate network security with evasion-resistant malware detection and comprehensive protection from the most dangerous attacks. See how a Kansas insurance company uses SandBlast to protect clients’ highly sensitive financial data from being leaked, exfiltrated or held for ransom. Protect without disruption through CPU-level detection and OS-level sandboxing. SandBlast Agent extends advanced zero-day protection to endpoint devices for protection against unknown malware and advanced threats. Defend endpoints with SandBlast Agent's zero-day and anti-bot protections. Most organizations are unprepared to defend against the latest evolution of ransomware techniques. Check Point insights can deepen your understanding of the threat of ransomware. With reliance on user interaction for propagation and the prevalence of ransomware, users — through no fault of their own — have become the biggest threat.